Coconut water is one of nature’s best kept secrets, and here are ten reasons why! Coconut water is a lower calorie drink than most synthetic, chemical-filled sports drinks, with less sugar and sodium, plenty of electrolytes, and more potassium than fours bananas! Some sources claim that coconut water hydrates better than regular drinking water, because of the electrolytes and sodium, and is great for combatting dehydration from brutal summers, sickness, or physical activities. Coconut water supports immune system health and helps prevent seasonal sicknesses! It’s also anti-fungal, anti-bacterial, and anti-viral, helping fight infection! Fun nights out can lead to rough mornings, largely because of dehydration and decreased sleep. Coconut water will quickly rehydrate and energize you so you can still conquer your day, like a champ! 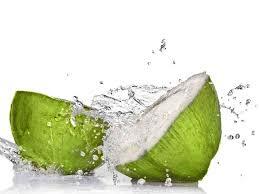 Coconut water is a rich source of cytokinins that protect cells from aging! Coconut water contains bioactive enzymes which improve digestion and metabolism, as well as aiding in the absorption of food and the effects of certain medicines. With a sweet, nutty taste, and with certain brands offering various flavours (such as pineapple, orange, and peach and mango), coconut water makes a great alternative for those wanting to reduce the amount of soda, juice, and chemically-made sports drinks. Coconut water has been associated with a reduced rate in heart attacks, and one study shows it may lower blood pressure. Okay, so that may not technically be a benefit, and may even cause some of you to think twice about it. Just because Rihanna drinks it, doesn’t necessarily make it awesome. But, several celebrity athletes, such as pro tennis player John Isner, credit coconut water for increased endurance and hydration during their training and performances!